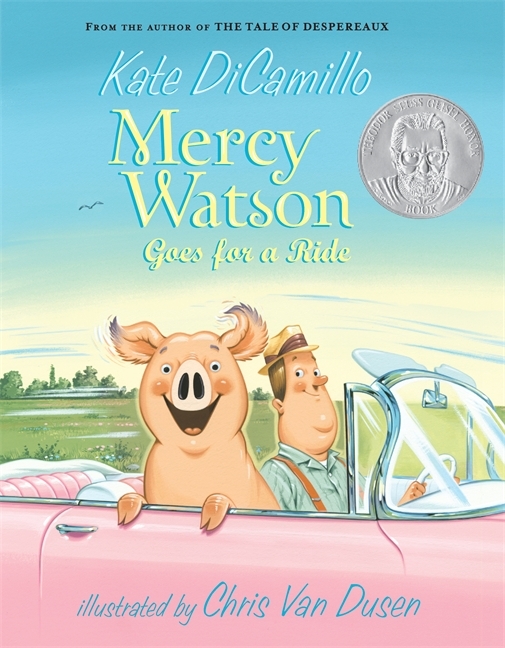 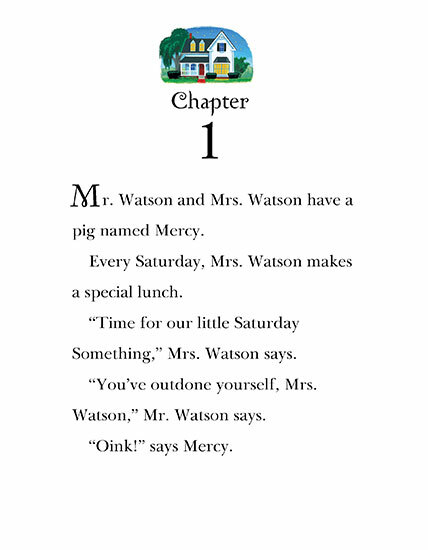 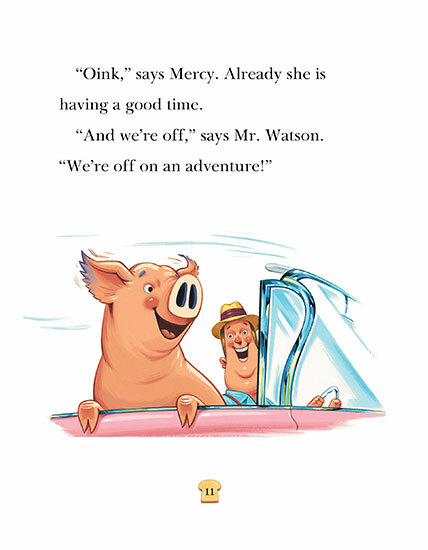 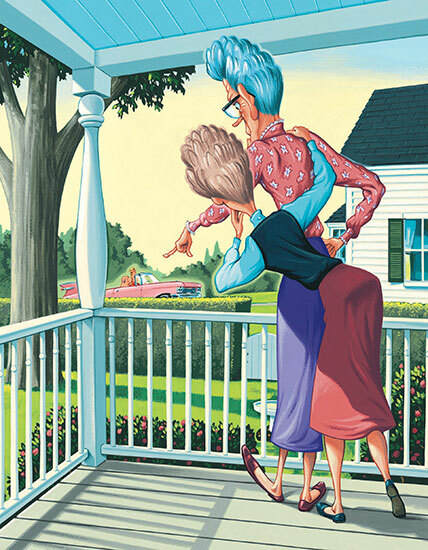 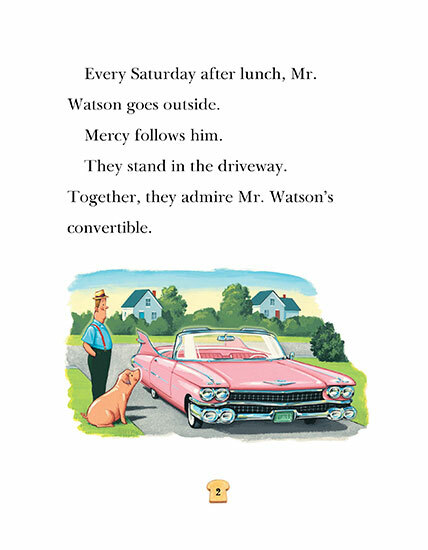 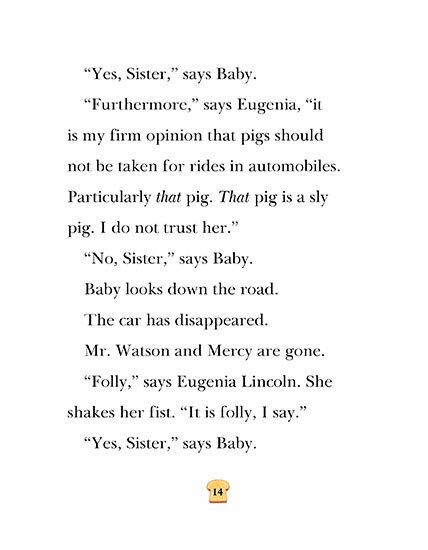 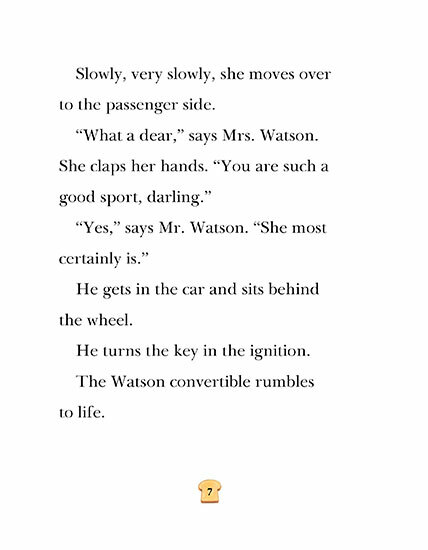 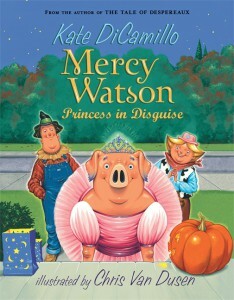 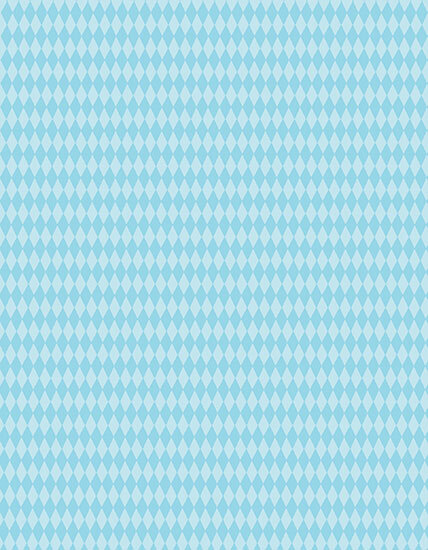 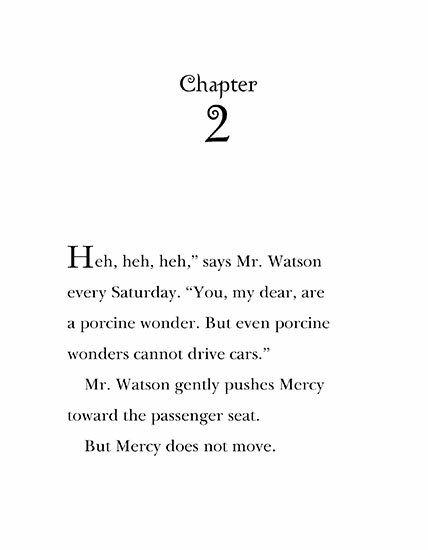 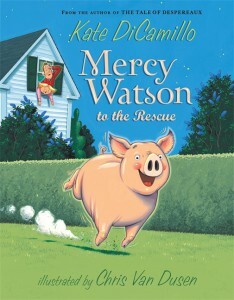 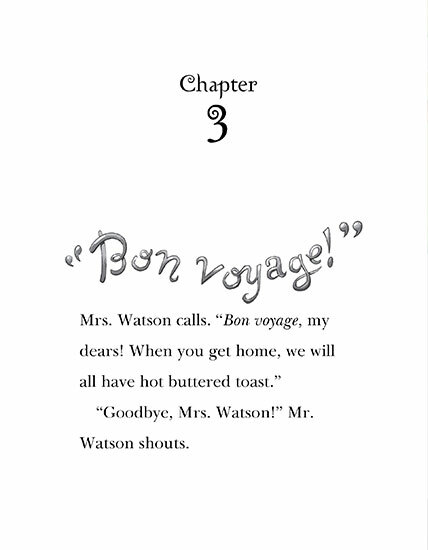 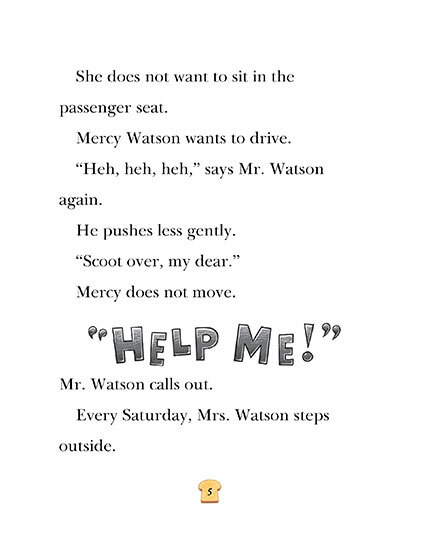 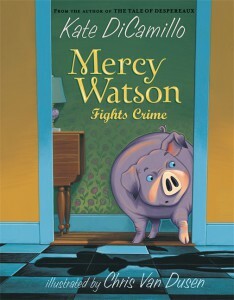 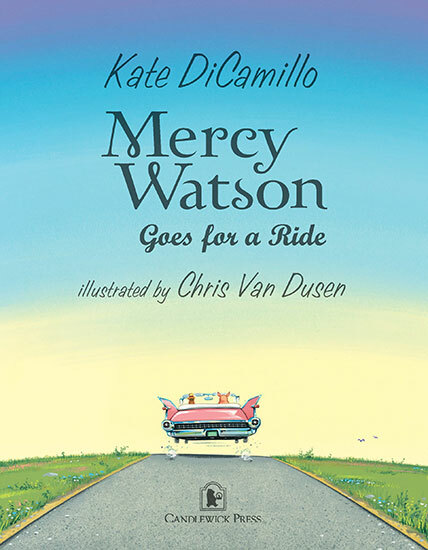 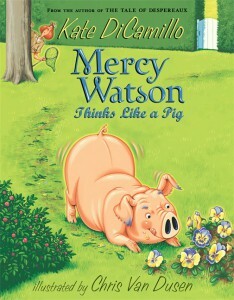 The amiable Mercy Watson takes an automobile ride she'll never forget in the second tale of an ebullient first chapter-book series by Kate DiCamillo and Chris Van Dusen. 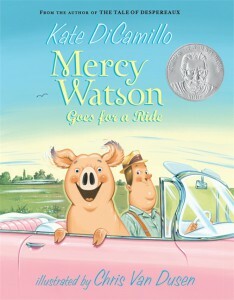 Mr. and Mrs. Watson's porcine wonder, Mercy, loves nothing more than a ride in the car. 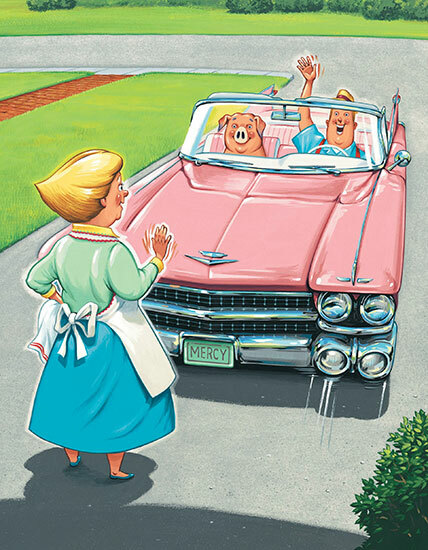 It takes a fair amount of nudging and bribing and a "You are such a good sport, darling" to get the portly pig out of the driver's seat, but once the convertible is on the road, Mercy loves the feel of the wind tickling her ears and the sun on her snout. 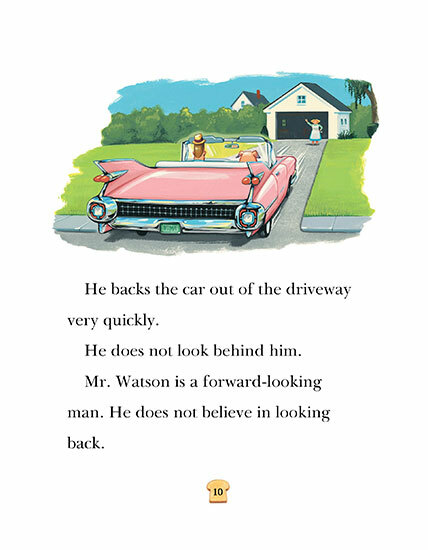 One day the Watsons' motoring ritual takes an unexpected turn, however, when their elderly neighbor Baby Lincoln pops up in the backseat in hopes of some "folly and adventure" - and in the chaos that ensues, an exuberant Mercy ends up behind the wheel! 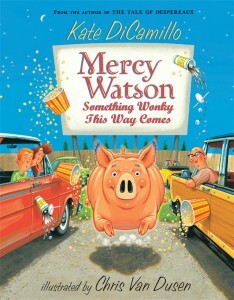 Soon there's a policeman on her tail, a struggle for the brake, and a blissfully airborne Mercy. 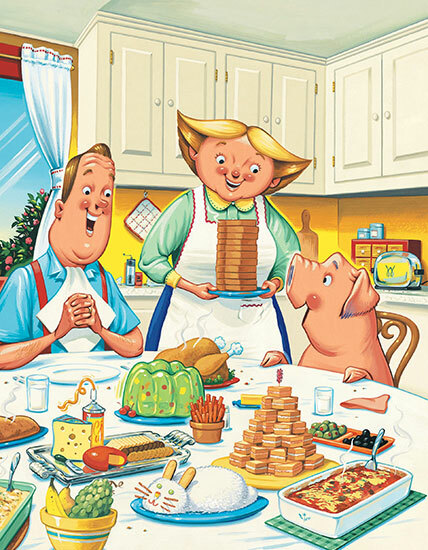 Of course, it's nothing that an extra helping of buttered toast can't fix!